Today, I’d hoped to announce?finally?the launch of The Indie Pub podcast. That’s not going to happen. We’re at the beginning of a heat wave here in Portland, and I’m laying low for a bit. I’ve found that my ideal temperature is around 58 degrees F. I start to have trouble when the thermometer sails past 75. Thursday, it reached 81?no big deal for most people, but dysautonomia leaves me vulnerable to some icky heat-related symptoms. I was still able to be partially productive on Thursday, but Friday the outdoor high reached 90 and I was pretty close to melting. The day was a loss in terms of making progress on projects?including the podcast?and this weekend will be devoted to meeting the four deadlines I have on Monday (and to trying to keep cool). I’m not sure when the heat will break. It is summer, after all, and only the tail-end of June at that. There’s a good chance I’ll break down and install a small cooling unit for my office (there’s no AC in the rest of the house). The Indie Pub will launch sometime this summer, hopefully sooner than later. I’ve already completed interviews with the likes of Laurence O’Bryan, Dale Ivan Smith, Kate Hanley, Terri Kleinberg, Tonya Macalino, and Jay Lake. There will also be more installments of “In Conclusion . . .” that will delve more deeply into death and dying, including sharing the stories of friends near and far?and again, also Jay Lake. So please do stay tuned. I’ll probably take a bit of a break after the 2013 Blogathon comes to a close this Sunday?or I’ll at least scale back my posting schedule. But I’ll still be here, hopefully no more than half-melted. 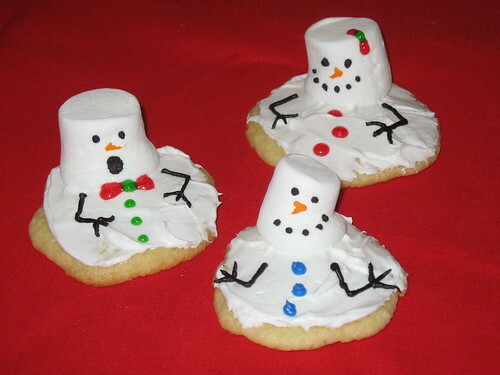 Creative Commons photo: Melting Snowmen Cookies by _Kimie_. Posted in in conclusion . . ., thoughts from the spiral, writing & publishing and tagged dysautonomia, heat, MVPS.